Every dial is a unique piece and you will get exactly the watch you chose here. For us every watch is a unique piece, we create it and build it in our lab in Berlin, taking care of every detail, from the watch to the package. We use a SSL Secure Payment System Guarantee by Wirecard®. You can currently pay with PayPal or Credit Card (Visa, Master Card, American Express, Discover). We will never charge an extra cost for any payment method. You can also pay with direct bank transfer. We give two years (24 months)of warranty and we take care of ours customers with our internal customer service. 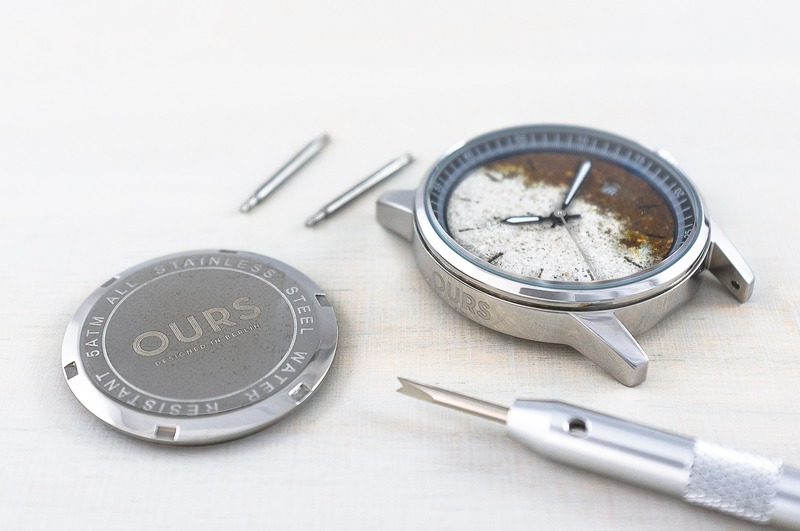 OURS Watches has an internal repair lab to ensure the customer a faster service. 1. 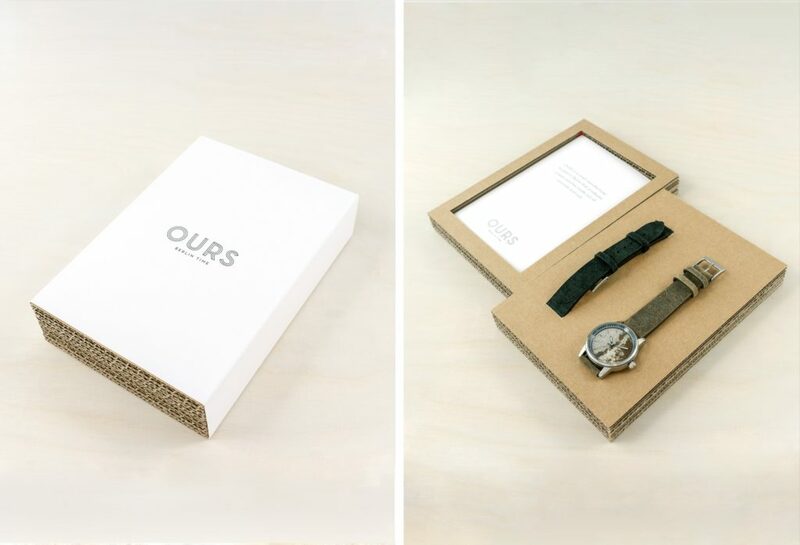 Please email info@ours-watches.com or fill this form to request a refund. If the item(s) it’s defected you can have the 100% refund or a new one or another one with the same value. In case of damaged item(s) all the return shipping costs are at our expense. The shipping costs for a new/another item(s) are at your expense. If the item(s) it’s damaged or used you can have the 50% refund or integrate the value with for a new one. All the shipping costs are at your expense. If your the item is in like new condition, you may exchange it with another one with the same value. All the shipping costs are at your expense. We will never charge any kind of extra costs for any payment method. All orders are shipped within 48 hours Monday - Friday 9am - 3pm. If a tracking # is provided by the shipping carrier, we will update your order with the tracking information. Please note that some shippment will not have tracking numbers. Yes, every dial is a unique piece and you will get exactly the watch you chose here. 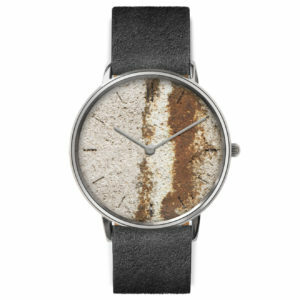 Where can I buy OURS Watches in Berlin? Every Sunday you can find our stand at the market of Mauerpark in Prenzlauer Berg, in Berlin. 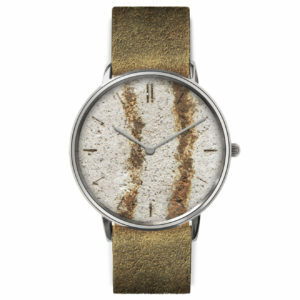 How can I pay to buy a watch in the web shop? You can currently pay with PayPal or Credit Card (Visa, Master Card, American Express, Discover). We will never charge an extra cost for any payment method. We follow the new European Return and Refund Policy. To be returned, your watch must be in its original and unused condition, unless there is a defect caused by the manufacturer. You can return the watch within 14 days of your purchase. Please email info@ours-watches.com or fill the form above (Direct contact) to request a refund. If the item is defected, within 14 days from the purchase, we will either exchange it for a new one or refund you 100% of the price. In this case, all shipping costs are at our expense. your order with the tracking information. Please note that some types of shipments do not have tracking numbers. The rates charged for the shipping of your order are based on the weight of your products, and your location. Before the final checkout, we will let you know what the cost of shipping will be. Are the models available in different sizes? You can find the measurements and technical specifications of the individual models on the product page of this website. 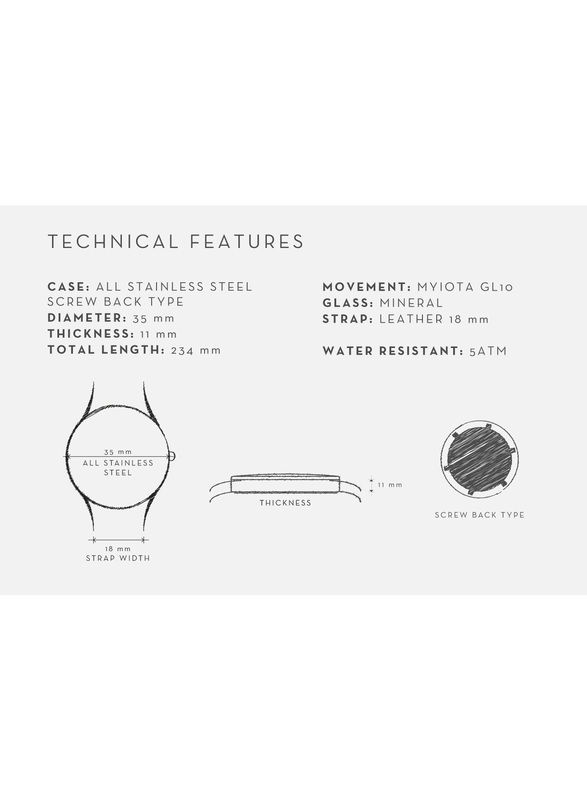 Is water a problem for my watch? Our watches are waterproof. 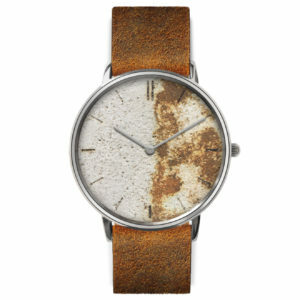 However, you can increase the life of the leather strap by not immerging it in water. 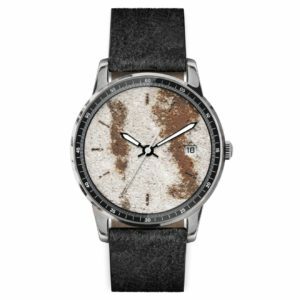 Do OURS Watches need special care? 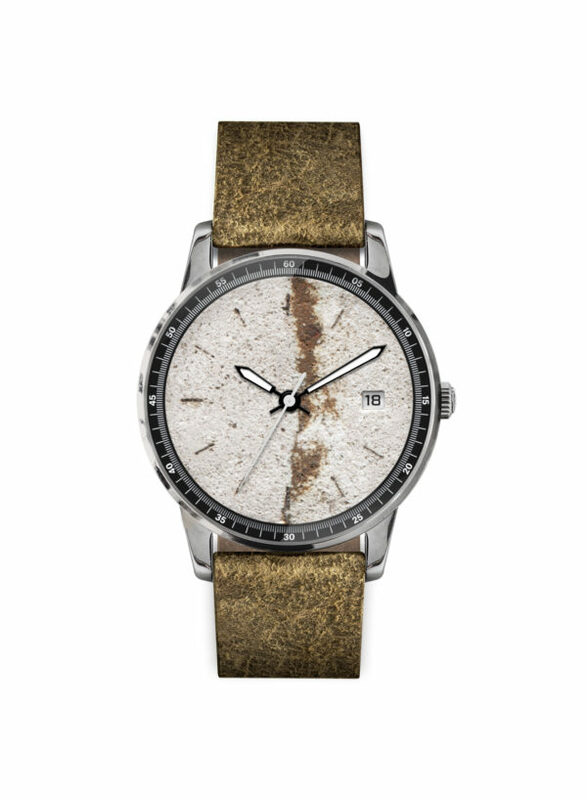 You can clean your watch with a dry and soft piece of fabric. Avoid cleaning it with any kind of abrasive substances, as you might scratch the glass or the metal case. We give two years (24 months) of warranty and we take care of OURS customers with our internal customer service. Ours has an internal repair lab to ensure the customer a faster service. Are there problems if have allergies? Where are your watches manufactured? 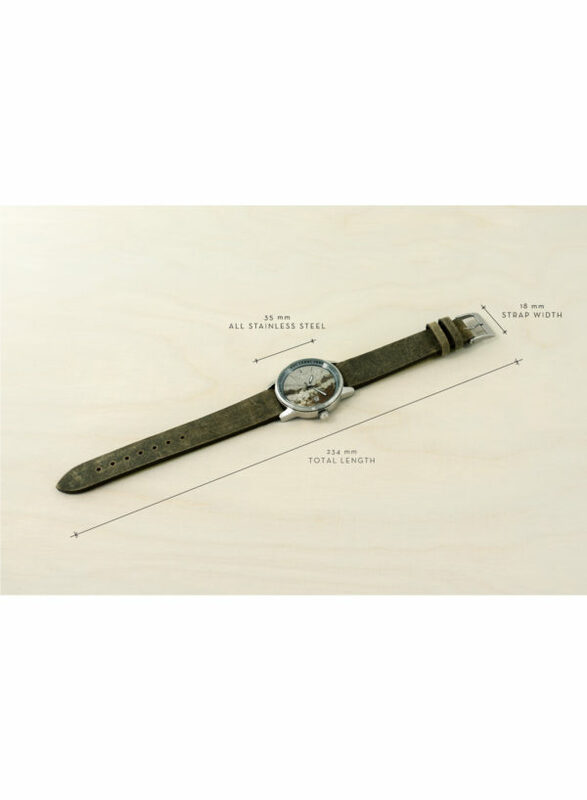 OURS Watches are manufactured in Berlin, Germany. We purchase some of the components from trusted suppliers in Italy, Germany, USA, Japan and China. Are the working conditions fair? Yes, of course. We regularly inspect our production facilities in person. The production facilities are SA8000 certified. This means no low-wage work, and a safe and healthy working environment. 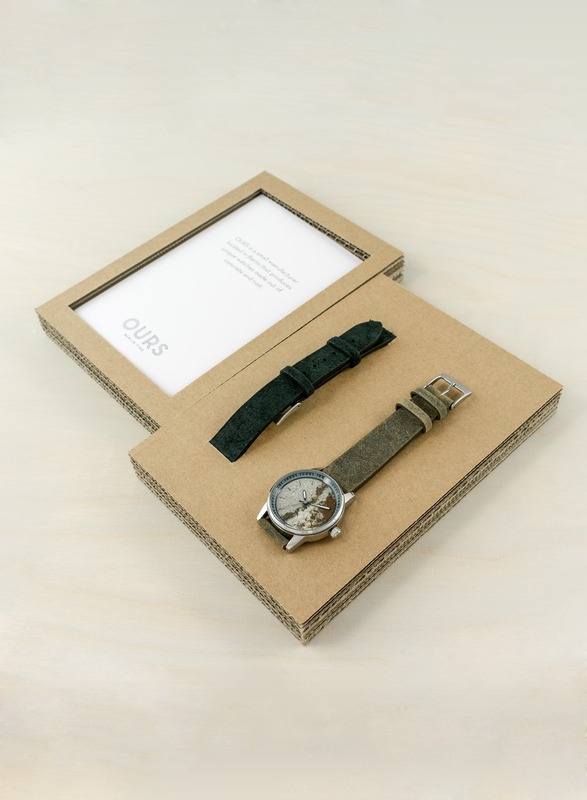 The contents of these pages were created with great care. For the correctness, completeness and update of the content, we can not take any responsibility. As service provider we are responsible for our own content published on these pages, but do not have the obligation to monitor transmitted or stored foreign information or to investigate circumstances that indicate illegal activity. Legal obligations to remove or block access to information remain unaffected. A liability is only possible from the date of knowledge of a specific infringement. Upon notification of such violations, we will remove the content immediately. Our site contains links to external websites over which we have no control. Therefore we cannot guarantee for these foreign contents. The contents of the linked sides always remain solely responsibility of the respective offerer or operator of the site. The linked pages were checked at the time of linking for possible legal violations. Illegal contents were not recognizable. A permanent control of the linked pages is unreasonable without concrete evidence of a violation. Upon notification of violations, we will remove such links immediately.